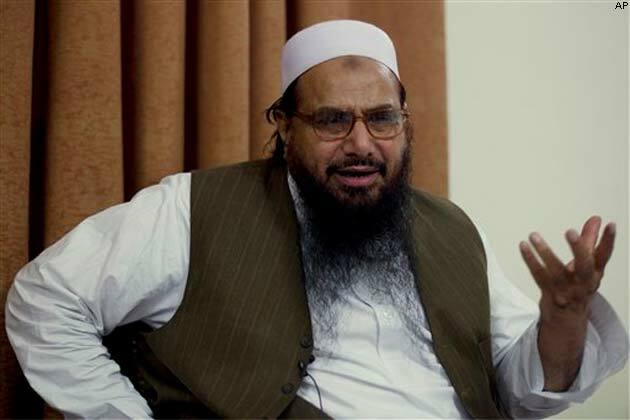 Jamat Ud Dawa Chief Hafiz Muhammad Saeed has said that Propaganda against Muslims of Terrorism is wrong. He said while addressing with Khutba of Jumah in Masjid Al Qadsia that America, Israel and Indian are working on dangerous plans against Muslims and Muslims need to leave sectarianism and dividing into parties but we need to united. He said that enemies of Islam can,t see Islamic organizations doing Welfare activities this is why they are doing fake propaganda against us. He advised Pakistani Government to leave American Slavery and work for strength of Muslims and Pakistan. He said Islam is a religion of Peace and Love and Enemies propaganda of terrorism against it is incorrect. He said that thing of sorrow is that occupiers of Muslims lands are trying to show themselves as Peaceful while declaring Muslims as terrorists by occupying their lands and when Muslims gives sacrifices for freedom of their lands they are declared as terrorists. It is necessary for every Muslim to work for Islam and help his Muslim brothers that are in difficulty and we will become strengthful only when will be united.